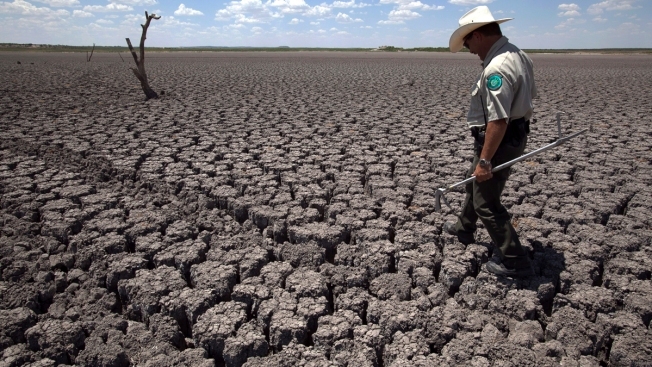 In this Aug 3, 2011 file photo, Texas State Park police officer Thomas Bigham walks across the cracked lake bed of O.C. Fisher Lake, in San Angelo, Texas. The impacts of record-breaking heat and years of low or no rainfall can be felt years after a dry spell passes. "We are in a period of sustained and significant warming and — over the long run — will continue to explore and break the warm end of the spectrum much more than the cold end," Arndt said. "You are getting more extremes," Walton said. "Your chances for getting more dangerous extremes are going up with time." "Even with the local cold we had this past month, it's very noticeable," said Wennberg, a California Institute of Technology atmospheric sciences professor. "It's just been ever warmer." "Last year was unbelievable here," Wennberg said. "The tops of a lot of the hedges, they essentially melted." "The extremes affect our lives," Arndt said, adding that they are expensive, with hospital stays, rising energy bills and crop losses. "It's more and more every year," Bowersock said. "Usually we don't have them lined up like this." "As a measure of climate change, the dailies (temperature records) will tell you more about what's happening," said climate scientist Chris Field of Stanford. 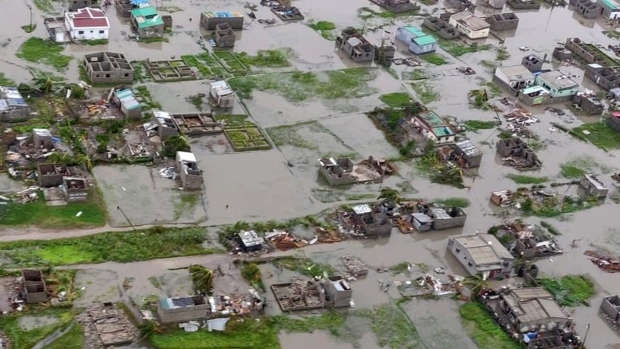 "The impacts of climate change almost always come packaged in extremes."